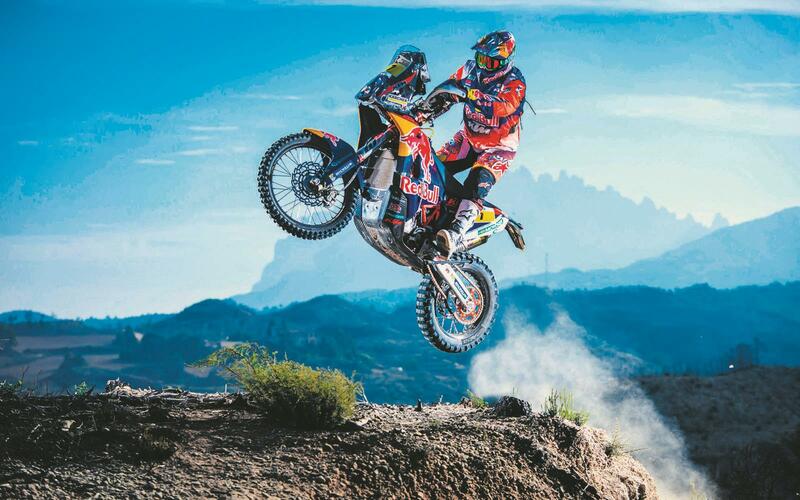 2017 Dakar will be toughest and best yet as riders tackle altitudes up to 4000m. Ahead of the Dakar’s ninth edition on Latin American soil, event organisers have announced marathon stages and mountain challenges that should make it the most arduous test of man and machine in recent memory. A new host country will join the fray in 2017, too, as the event visits Paraguay for the first time. Dakar Director Étienne Lavigne announced it would form one of the three Dakar capitals, with the event’s shake- down to take place in the capital of Asunción. There will be 146 motorcycles in this year’s rally raid, which kicks off with a 270-mile stage starting in Asunción on January 2 and finishes some 14 days and 5500 miles later in Buenos Aires. Introducing this year’s stages, Dakar legend turned event Sporting Director, Marc Coma, said: “This is Dakar DNA in its purest form; navigation is back in the rally as requested by the participants. We wanted to bring the essence of adventure back. Sam Sunderland leads the British charge and is hoping his bad luck so far in the Dakar does not dog his bid to run at the front in 2017. He won the opening stage in 2015, but crashed out on day four. The 28-year-old KTM factory rider is fast enough to challenge at the front but needs a finish to really cement his status as a top-level rally star. Other Brits hoping to finish the event are Lyndon Poskitt, Max Hunt, David Watson and Kurt Burroughs.